Chinese students take part in a patriotic performance art event in Zhengzhou. 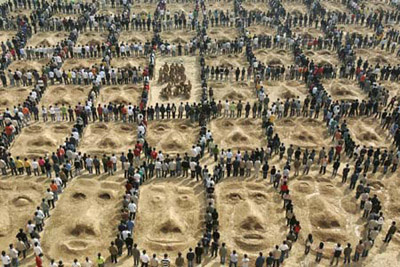 About 3,000 people joined in, yelling patriotic slogans around the 96 faces sculpted on a vast area in the earth. The purpose of this event was to bring about greater awareness to the farming community.